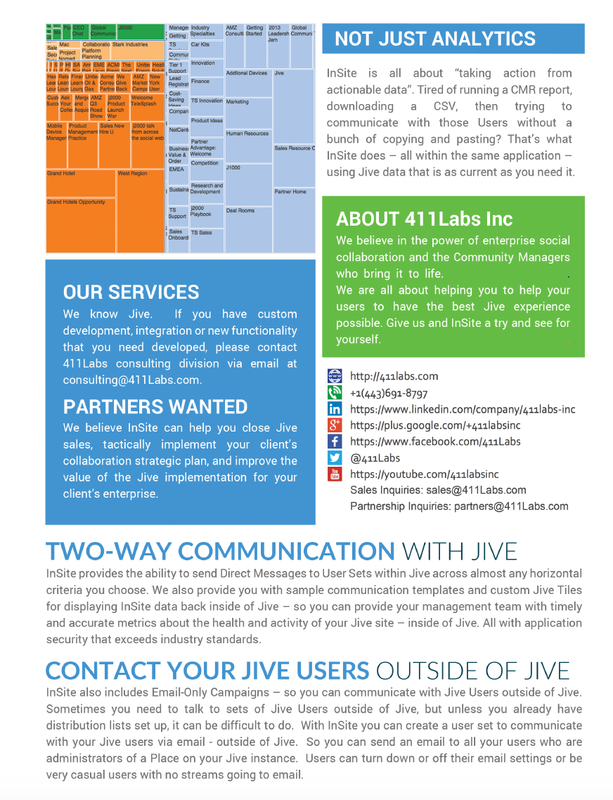 We extract your Jive data into a data warehouse on InSite servers. Form there you can filter and sort any way you want. You can save certain views of your data for reuse later in analytics or as the input for analytics report, charts or graphs you design. 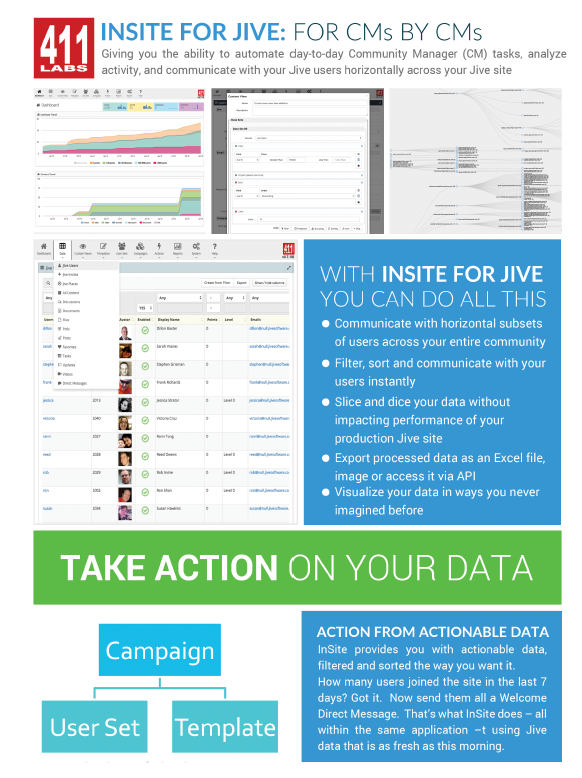 With your data views you can create templates for communicating with your Jive Users horizontally - via Direct Messages, emails or invites. 1. Communicate with horizontal slices of your site - across all Places. 2. Invite all the personnel associated with a particular project, initiative or office at once, so you greatly increase the odds of them hitting the ground running with their new community. It's all about the use case, baby! 3. Measure your success. Once you run a campaign or intervention, see if it worked. Be able to see which campaigns had higher return than others. Let management know how you are doing. 4. Prevent you from becoming a victim of your own success. Grow your community users, engagement and activity - without growing your budget, your staff or or working 80 hours a week. Management will LOVE that! If you are interested in learning more about InSite please download our product brochure to the left, Or complete the form at the bottom of this page to have one of our product champions contact you, or schedule a demo. 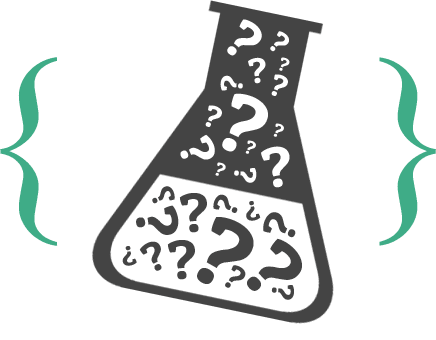 We love talking about InSite and want to make sure we get all your questions answered. 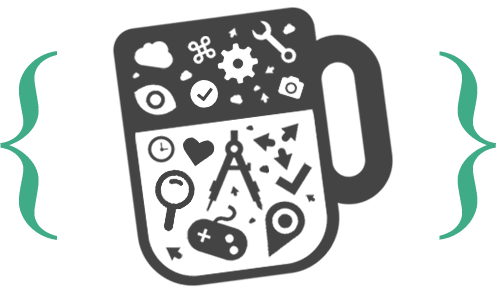 We use the Jive APIs to both pull and push Jive data from InSite into and out of your Jive instance - no plugins, no custom code. We have implemented the InSite platform with security tools that are as robust as Jive's - including server-to-server VPNs and data-at-rest encryption. We are committed to growing the functionality of InSite from input from you - our users and customers. exactly what InSite can do and how it can benefit your organization.